Our 2019 application process is now closed. 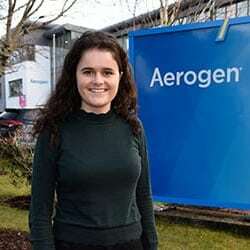 The 2019 Aerogen Graduate Programme is now closed for applications. Our 2020 Graduate Programme will open in September 2019. Through structured learning, learning from others and learning from experience, Aerogen will guide you through the fundamental years of your working career to give you a strong foundation to excel in the future. 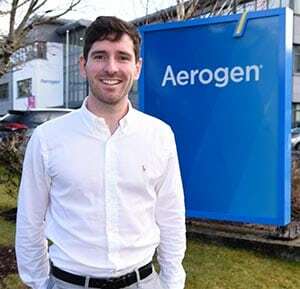 Due to Aerogen’s unique working environment, duties are diverse and you will get the opportunity to experience all aspects of a successful business. Aerogen provides me a platform to make a difference in people’s lives. 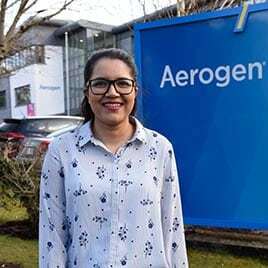 Aerogen has offered me a fantastic learning environment, where I get loads of exposure to meaningful work that can really make a difference to patients’ lives. In Aerogen, all employees are treated equally. It doesn’t matter if you are a graduate or if you have ten years’ experience, everyone’s opinions matter and everyone’s input is valued and encouraged. There's a great feel about the place and it feels like even people from other teams are there to guide you or help you with your work. It's a really cross-functional team within Aerogen. What should I include in my motivational letter? 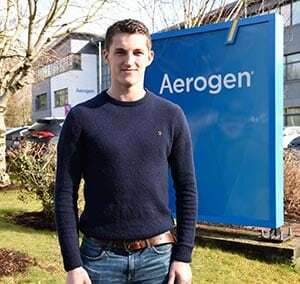 Your motivation letter should include a small introduction of yourself, the reasons why you want to join Aerogen and the Graduate Programme and why you are a suitable candidate for the programme. How do I give myself the best chance to be successful in my application? Will I receive feedback on my application if I have not been selected for the next stage? The level of feedback will depend on what stage of the selection process you have reached. Usually, when applications are not selected to go forward at stages 1, 2 or 3 it is because one of the minimum criteria has not been met. Due to the amount of applications we receive, we are not able to give everyone feedback. If you have reached stages 4 or 5 you will receive the contact details of the person in charge of the selection process to request feedback. What does the online assessment entail? If I am selected, what can I expect from the Assessment Centre? What should I expect from the graduate programme? The chance to rotate through different departments and gain experience of different functions. What happens after the 2 year programme? Successful graduates will be offered a full time position in the company.